With a stylish flair, Get Jinxed initiates viewers into the outlandish dreamscape of a deranged criminal. The mix of 2D and 3D animation, the music synchronization, and the dark, yet gleeful tone set it apart from most cinematics. 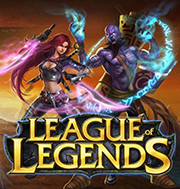 League of Legends is a game that monetizes on the periodic release of new playable champions and their accessories. At the time that Get Jinxed was released to announce Jinx, it was the most ambitious character video released for the franchise.